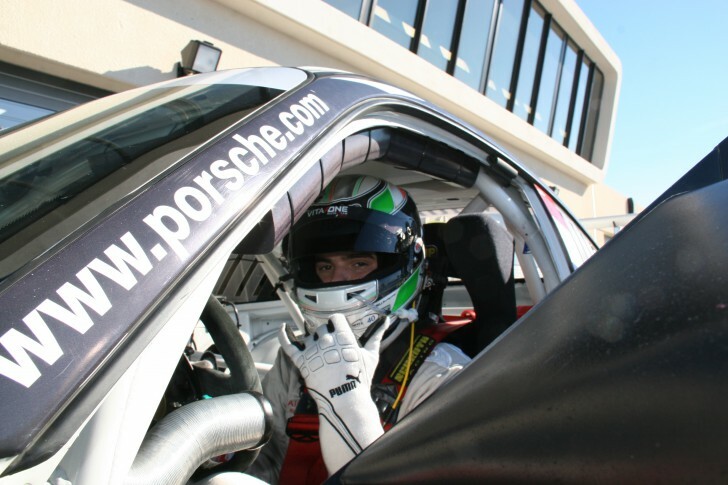 Lets race with Andrea Barlesi into the French Porsche Carrera Cup. Due to the Porsche Scholarship program, which allow young pilot to progress into the Porsche sector, the Italo-Belgium Pilot intends to play the first places and get noticed: « More and more young pilots leave single seater and car for the Porsche Carrera Cup. I expect for a high competition level, as most of the pilots will have the same level. The Porsche 911 GT3 Cup is a sharp car. I am coming here to win from this year. » Around twenty cars are expected, which promises an intense and hot season. Six meetings are planned for the French Porsche Carrera Cup. Season will start at Le Mans (27/28 April) before getting at the Pau Urban Race (19/20 May). Then, let’s go to the Mugello race in Italy (6/7 July) with the Italy Porsche Carrera Cup, then Magny-Cours (7/8 September), Lédenon (12/13 October) and Paul Ricard (26/27 October).